This sleek ankle boot from FLY LONDON is both stylish and comfortable, and its highly durable material makes it ideal for casual, every day wear. A cushy ankle boot that perfectly compliments jeans, dresses and shorts alike is versatile. The FLY LONDON Meli boot, designed with comfort in mind, has a 4cm heel and is made from high quality leather with suede paneling to the side. 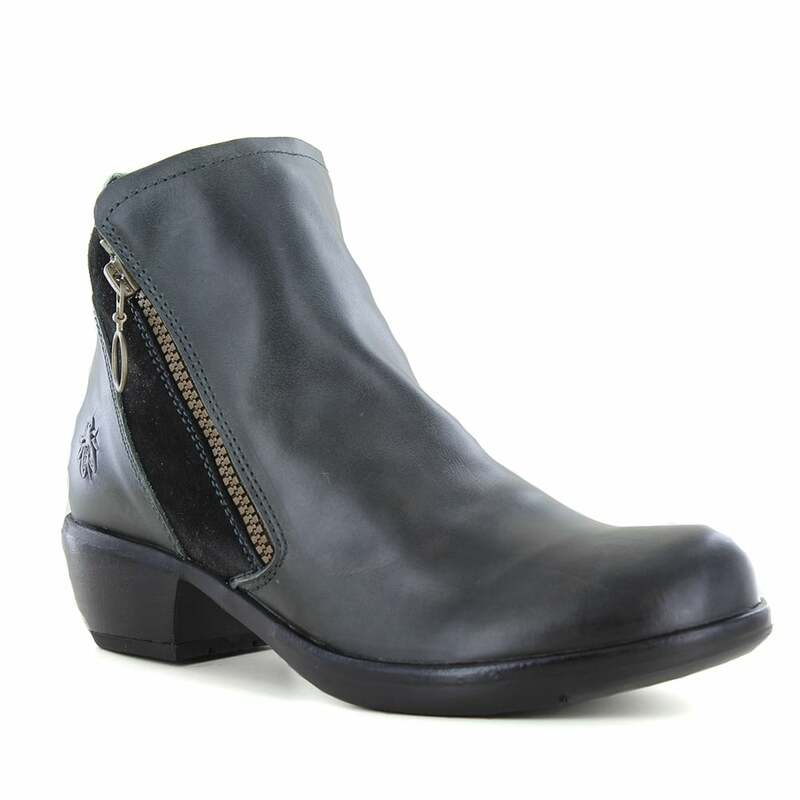 The brass effect outside zip allows the Fly London Salv, ladies Chelsea boot to be easily fitted. A popular boot by Fly London, get yourself the Salv while they're still here!